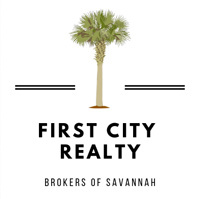 First City Realty exists to cultivate and enhance community in Savannah, Georgia. Our beliefs about community are bigger than real estate; First City Realty is to be a leading contributor to and champion for Savannah’s social growth, as well as for the preservation and smart growth of its built environment. 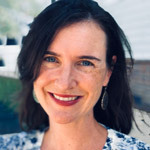 By fostering connections between diverse people and interests, First City Realty is and will remain a positive force for growth in the economic and social fabric of Savannah. To be the real estate team of choice in Savannah for buyers, sellers, and realtors by valuing relationships, improving the community, and providing exceptional service and superior results. Quality trumps all. We will always sacrifice quantity to provide quality service that surpasses client expectations. Growth mentality. There is always more to learn and ways to improve. We will never stop learning and improving ourselves and our operations to benefit our clients. Exceptional service. Our clients and the Savannah community deserve the best. We provide a level of service that delights our clients – always reachable, always ahead of deadlines, and with the utmost professionalism and courtesy. I hope these sound like the traits of a company you would like to work with! I am beyond excited to bring this new company to the Savannah market, and I look forward to the opportunity to working with you as a client, fellow realtor, Savannah resident or visitor to further grow this amazing community I call home.